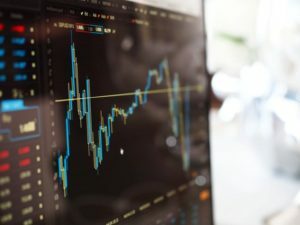 Home › Stock Market › ETFs vs Mutual Funds – Which is the Best Option? In the debate about ETFs vs mutual funds, the same question often arises: which is the best option? Well, the real answer depends on your situation, intent, and how much flexibility you’re looking for. In this article, we’re going to explain the differences between ETFs and mutual funds, and the benefits of each over the other, so you know when either type of investment is best for you. Mutual funds are an investment where everyone pools their money to mutually buy shares, though the stocks or bonds bought and sold by the mutual fund are chosen by a fund manager or fund management team. ETFs, likewise, invest in a variety of companies, but they don’t have the same active management. Mutual fund prices are set at the end of the day, and you buy or sell at the end of the day based on that price. The price of an ETF is based on investor demand at that moment, so you can see the price fluctuate as much as that of an individual stock. And you can buy an ETF like a stock. Mutual funds typically have operational expenses, commissions, and redemption fees, though no-load and non-commission mutual funds exist. Redemption fees exist specifically to discourage turnover. ETFs don’t have loads, and they usually have lower expenses than a comparable mutual fund. ETFs have better tax treatment than mutual funds. When someone sells their stake in an ETF, the underlying investments like shares of stock don’t have to be sold to give them their money. That means there’s no capital gain, and that equals no capital gains tax. Fund managers also have the ability to choose what investments can be sold to raise capital, and this could be the most effective cost-basis stocks. This, too, reduces potential capital gains tax bills. If you’re planning on trading your investments like stocks, ETFs are a better choice since you can try to time the market. ETFs are also better for buying and selling to secure short-term gains. And if you need access to the money fast, an ETF is better. If you want to trade on margin or set price limit orders, you have to buy ETFs because mutual funds don’t support this. In summary, in the ETF vs mutual fund debate, ETFs win if you want minimal fees and capital gains taxes while trading a diverse portfolio of stocks and bonds. Mutual funds are designed for long-term investing. If you’re investing for long-term goals such as retirement, mutual funds are a good choice as long as they’re doing well. A side benefit of mutual funds is that the fees associated with selling them reduce the odds someone will sell in a panic and lock in their losses. There’s another reason why mutual funds are better for long-term investing. ETFs have lower overall fees, but you pay these fees with every transaction and the ongoing operating costs. This means that you could pay higher fees with an ETF than a mutual fund if investing the same amount every month (dollar cost averaging). In short, mutual funds win if you’re saving continually toward a long-term goal. If you just want to track the market indices, mutual funds win. Mutual funds and ETFs both have their advantages, and each type of investment suits a different sort of investor. If you understand your objectives, you’ll understand which investment is better for you. « Is Making Money Online Safe? March 28, 2018 ETFs vs Mutual Funds – Which is the Best Option?